Winchester designs their Power Max Bonded line of ammunition solely with the interests of the deer hunter in mind. 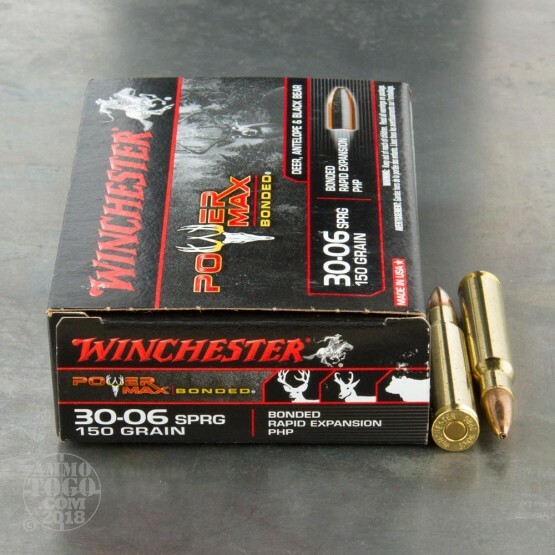 This 30-06 cartridge is crowned with a 150 grain projectile which features a protected hollow point. 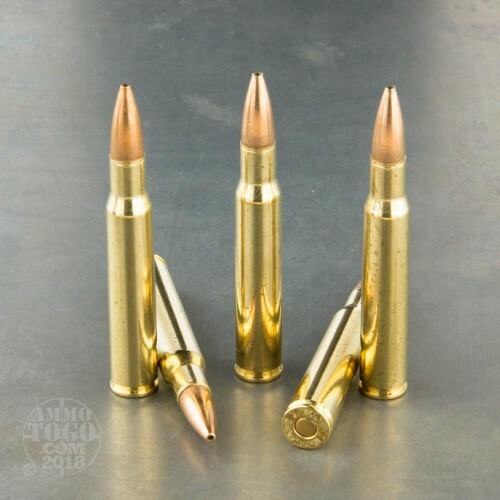 For all intents and purposes, this bullet performs the same as a tipped projectile, but it does away with the piece of polymer in order to save manufacturing costs. This bullet’s contoured jacket is bonded tightly to its lead core, letting the two remain welded together for maximum weight retention during penetration. Its layers’ tendency to stick together coupled with its fast 2,920 fps muzzle velocity gives this bullet tremendous power as it widens within game, knocking out vitals and breaking bones in its path. As a Winchester, this round’s other components are worth their salt as well. 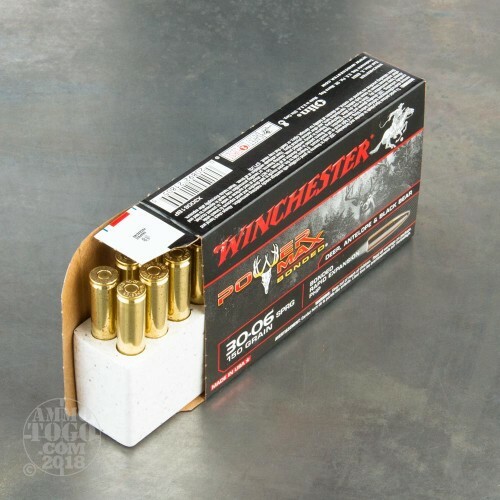 You can get a lot of use out of its brass casing at your reloading press, and its Boxer primer is poised to stay ready for action for as long as you might need it to. Three hundred yards, half inch groups. Extremely great on whitetail and coyotes. Extremely accurate and the best I have used on white-tails, hope Winchester keeps this one for a long time.